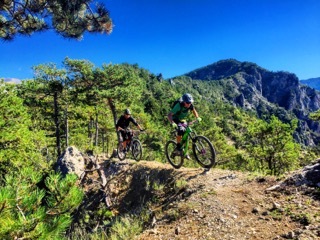 Johnny and I on our first real ride en route to Guillaumes from Varberg, a 3000ft descent on a tight, rocky and technical trail. 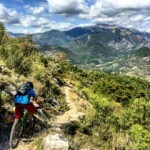 We could now start to see why the French are so good at biking. 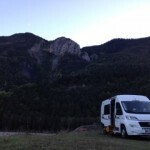 Johnny and I rented a camping car in Nice thinking driving it around the insane roads of France would be easy. Think again this 6 meter beast took some getting used to but we made it out with only a small scratch! 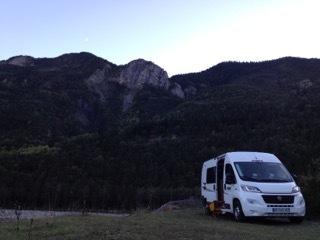 Here were camped along Le Var near Valberg-Guillaumes France, one of the Enduro World Series stops for next year. After a few cold nights in the mountains we headed back towards the coast and the small medieval village of Peille, France. We met a local by the name of David Robin as we were messing around in the tight stairwells and walkways of the village he spoke no English but we shared the common language of bikes. 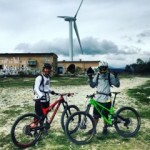 He was kind enough to show us his favorite local trails and without him Peille would have been a bust. 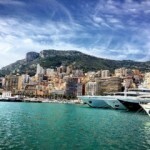 Here Johnny rips the hills high above Monaco where some of the richest people in the world reside. 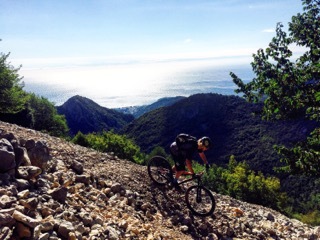 Next stop was a place called Sospel. Located about 45 minutes from nice by car and about 2 hours in the camper. 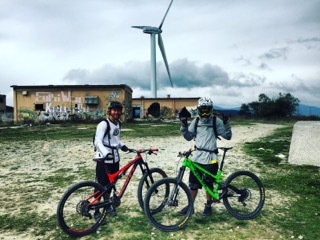 Sospel is Fabian Barel’s stomping ground but surprisingly there was very little info or riders to be seen. The map that you can find at the tourism office ended up being very helpful and the trails were some of the best that we got to experience. 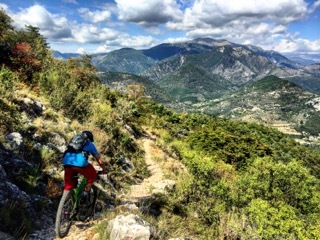 Steep and exposed would be the best terms to describe the trails in the area. The trail pictured was one of the longer tours and the descent started from a world war two camp that was littered with bullet holes and was really cool to see. 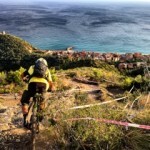 After Sospel we headed to Finale Ligure, Italy. Here we are at the old NATO base where many of the trails start from. 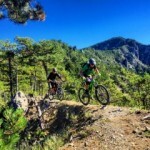 To ride here an all day shuttle is pretty much necessary because its a lot of vert and there are lots of unmarked trails. You can get about 8-10 runs in a day, including a ridiculous lunch. 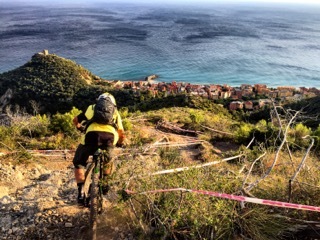 The men’s downhill above Finale Ligure, one of the most iconic tracks in the Super Enduro and final round of the Enduro World Series. Loose AF. 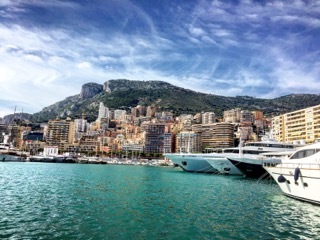 Before we left we had to take the train to Monaco to check it out… Yes, it’s absurd.